Who doesn't enjoy apps on their Smartphones? After all, a smartphone isn't a smartphone without apps. Today where smartphones, tablets and laptops have replaced desktop computers, the popularity of apps is growing at a rapid pace. According to a recent study, an average smartphone user spends 70% of his/her time on apps and this number is only growing with the passage of every year. 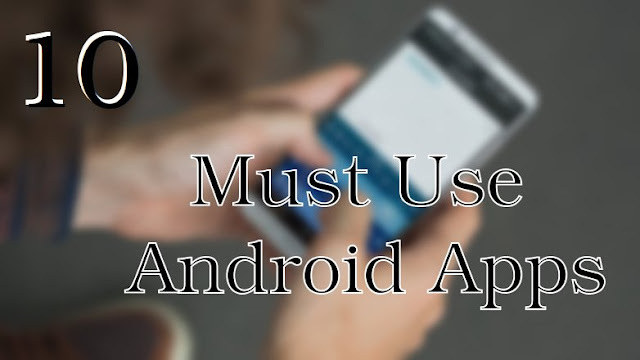 Following is the Review of Top 10 Best Must-Have Free Android Applications for Smartphones and Tablets. The two most popular operating systems having the major market share of smartphone industry are certainly Android and iOS. And since Android is an open source platform, there is a wide variety of amazing and outstanding apps for android to be downloaded. And the best part is most of the amazing stuff is absolutely free. However, with a wide range of apps available in the market, choosing the best one among all is definitely a daunting task. Just like custom wordpress development, android app development is also getting huge potential amongst developers. Below we have compiled a list of best yet free Android apps that you should download this year. Google Keep, as the name suggests, is a note-taking app which allows you to take notes along with checklists, and images. Besides images and checklists, it also transcribes audio notes. You can add location and time-based reminders to your notes and make the most of your notes. The best part is that everything is saved on the internet and recorded in reverse-chronological order for faster access. 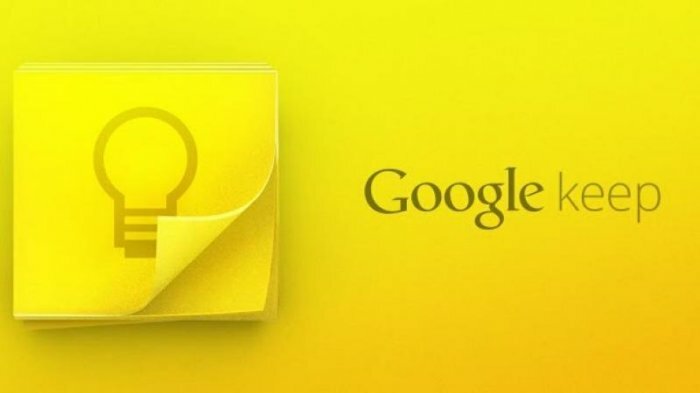 Download and Install Google Keep from HERE. Are you a big fan of social media? If yes, Seesmic is certainly an app for you. Seesmic is a Twitter app for Android that allows you to keep track of your tweets and latest updates through a clean and simple interface. Seesmic also comes with a “getting started tutorial” to help you find your way around the app. This application is well-designed and pretty fast in comparison to other social media applications available out there. Seesmic is loaded with URL, video and photo shortening services. Download and Install Seesmic from HERE. Pocket is yet another amazing Android App designed especially for readers. Save your favorite article or post to read it later with Pocket app. Pocket will be your best place to discover and recommend the best article on the internet. It allows you to save the article or post from any place you want such as favorite apps including Feedly, Flipboard, Twitter, and Facebook. It also offers unlimited storage space to save all of your data. 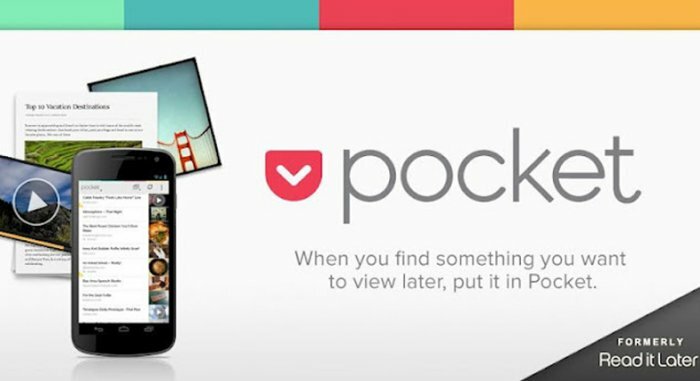 Download and Install Pocket from HERE. Facebook has become the most loved platform to share and communicate today. In fact, a recent survey has conveyed that Facebook received more traffic than Google in the past one year. This shows the popularity it has received over the years. Wouldn't it be great if your smartphone let you update your status, add an image, change profile picture, add check-in and much more with only a few finger touches? Facebook for Android does this for you. It's a great app that offers you the same experience as the desktop version of Facebook. 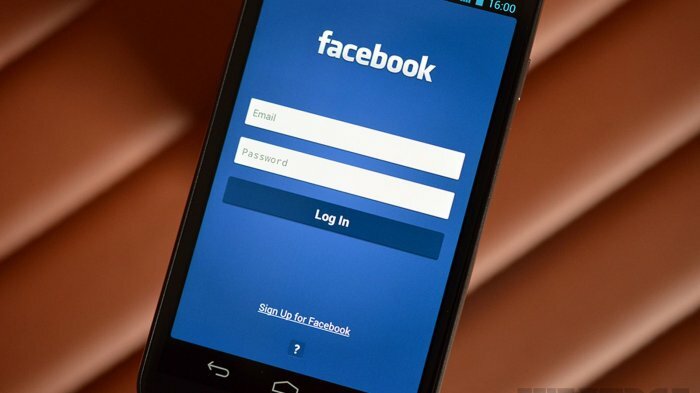 Download and Install Facebook from HERE. 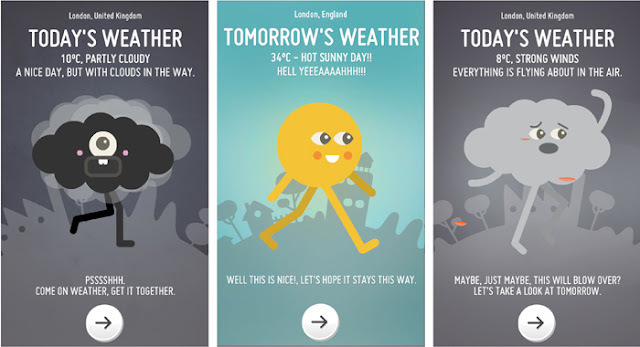 Weather is an amazing highly rated and popular Android app that offers almost every feature you need. It comes with great customizable home screen widgets that fit perfectly on your screen space. An additional feature of Weather Android app includes notification, radar, hourly weather report, extended forecasts and much more. Weather also displays a fun fact every time you hit open. Download and Install Weather from HERE. 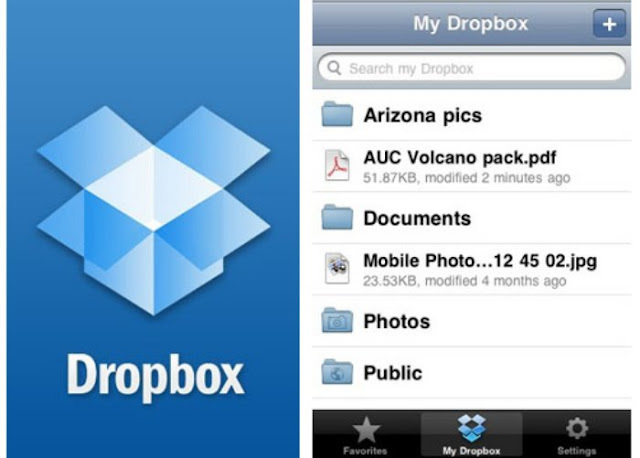 Dropbox has been used widely and is one of the most popular platforms to share important files and data over the internet. Dropbox has also launched its app to make it more convenient and easier for its user to use. Dropbox offers 2GB space to work with. Whether you run out of space on your smartphone every now and then or want to save your data at a secure place, Dropbox is an ideal option for you. Download and Install Dropbox from HERE. Even though Android offers a huge list of sports app, CSB Sports is considered as one of the best sports apps for Android users. 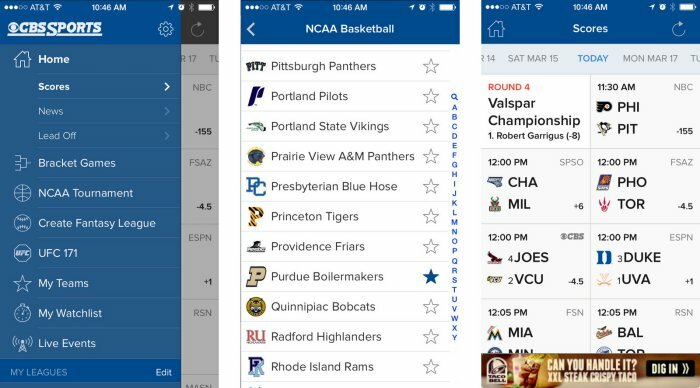 This application allows you to monitor your favorite teams across different platforms and enjoys your time. It comes with 3 different kinds of home screen widgets and tablet support. The sharp design and clean interface make exploring things a lot easier. Fuel your braid obsession with CSB sports amazing app. Download and Install CBS from HERE. Google Hangouts is another great product launched by Google. It is basically a chat application where you can have a conversation with your Gmail contacts. Google Hangouts application lets you connect with your friends and family and chat without spending even a penny. It supports video calls, voice calls and much more. It can also handle your smartphone's SMSs. However, in order to use Google Hangout application, you need to have a Gmail account first. 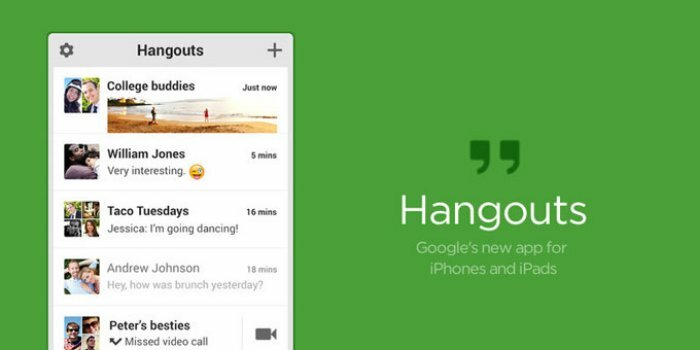 Download and Install Google Hangout from HERE. 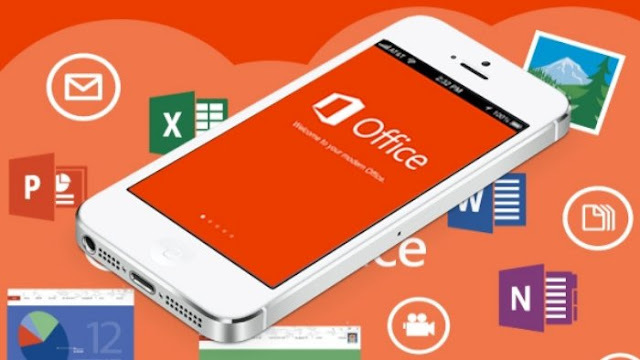 Office Mobile is a real deal when it comes to creating PPT slides, excel spreadsheets, and word documents and much more. Office mobile was launched by Microsoft in 2013 for Android users. It is a great application for those who work on the go. You can access, edit and view your ppts, excel sheets, and word documents virtually from anywhere. It also supports shapes, SmartArt graphics, animation, and charts. Download and Install Office Mobile from HERE. Love reading? Love kindle? If yes, you would definitely love Kindle app for Android. 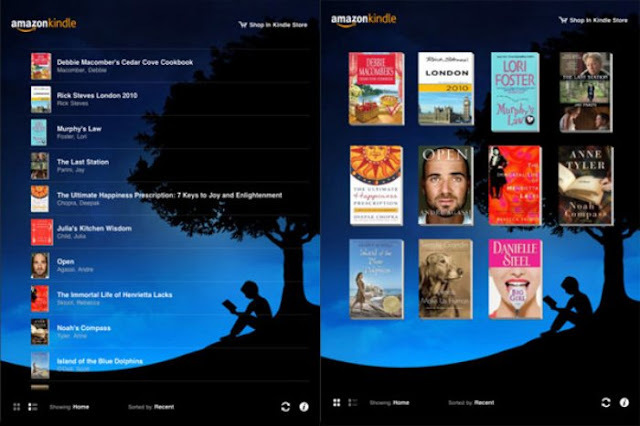 Kindle app is associated with Amazon which means you are a great selection. However, you can always retrieve a free book from its impressive library of books like Huckleberry Finn, Dracula and many more. It is not only a great way for you to get back into reading but also, it helps you keep your kids busy. Download and Install Kindle from HERE. We tried our best to compile a great list of free Android Apps and help you choose from only the best apps. We hope you find this list helpful. If you find any other app interesting and worthy, you know you can always share it with us. If you haven't downloaded these applications yet, it's high time you should.